Apple announced many of the new features that will be available in iOS 11 at WWDC 2017, but there is one that we are only hearing about just now: screen recording. Yes, come this fall, iPhone and iPad users will be able to show others what is on their smartphone or tablet's screen. And TeamViewer just announced that it will be the first to have a screen-sharing solution available on iOS. "Remote tech support to iPhones and iPads is now easier, and more effective than ever before. Feedback from TeamViewer users clearly communicated to us that the ability to view remote iPhone and iPad screens in real-time is vital to providing exceptional remote support," says TeamViewer. 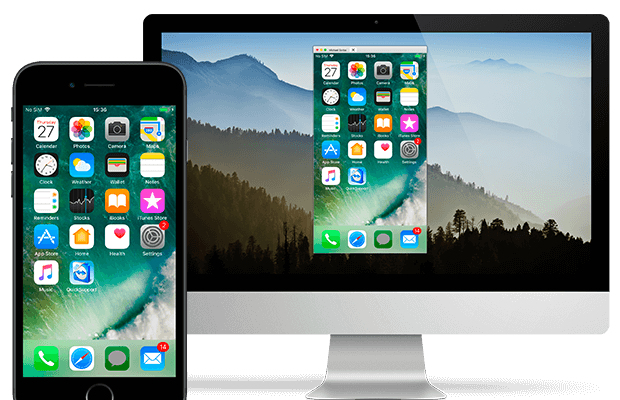 This addition to the TeamViewer QuickSupport app will enable PC and Mac users to see what is on the display of an iPhone or iPad for the first time, which will make it much easier for IT professionals to provide support to employees on the go, for example. TeamViewer says that "iOS screen sharing works very similarly to other mobile remote connections with TeamViewer. With the TeamViewer QuickSupport app for iOS installed on the remote device, simply press the screen sharing button and follow the instructions." The screen sharing feature will be available for free to test until October 31, TeamViewer says. The company does not say what will happen after that, but presumably users will have to pay to use it, at least commercially.